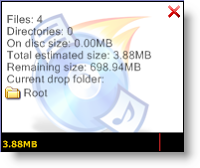 To create an audio disk is very similar, except the bottom half shows my tracks and their details. CDBurnerXP makes it very easy to drag and drop audio tracks to put them in the order you desire. If you want to sample a file, you can drag the audio file onto the Audio Player that is conveniently included in the interface. CDBurnerXP supports creating audio discs from the following audio formats: mp3, wav, ogg, flac and wma. 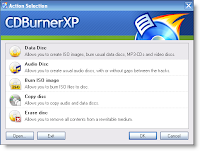 You can also burn ISO images, copy discs, and erase re-writable discs with CDBurnerXP. If this wasn't already enough to make CDBurnerXP a great CD burner, the fact that you can also burn DVDs truely makes it a great product. I found myslef again at work looking for burning software, this time for DVDs. Based on the name, I had originally dismissed CDBurnerXP. But after trying three other DVD burning packages (StarBurn, ImgBurn, and Burn4Free) , that all failed at various stages, I checked out CDBurnerXP. Sure enough it could burn data on to DVDs, and it performed flawlessly. I could not find much information on the company that creates CDBurnXP, Canneverbe Limited, so that is still a bit of a mystery too me. All their latest release notes are written by Flo, a developer from German. Support for 30 additional languages beyond the default English. Ability to print a simple cover from the list of files for a standard CD case, a slim CD case, a DVD case, a mini CD case, and Light Scribe. 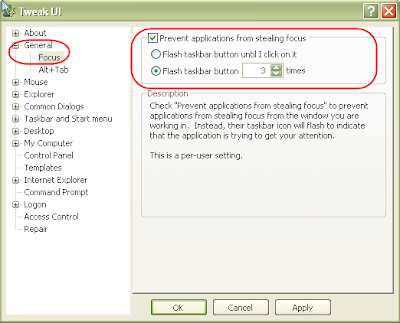 Option to apply Tack Gain or Album Gain to give you more even sound levels for your audio CDs. 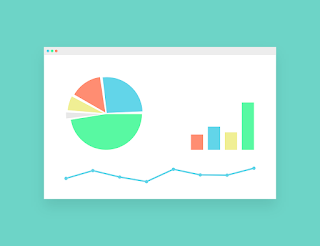 The use of variables for creating disc lables. A dropbox utility that sits on your desktop (you can move it where ever you want it), where you can drag-and-drop files onto to build your data disk. Needless to say, I think this is a great CD and DVD burning utility software package. Check it out for yourself. CDBurnerXP just released version 4.2.1.919 on August 23, 2008. ...and if you're looking for completely FREE and powerful CD/DVD and Blu-Ray/HD-DVD burning application you're welcomed to give a try to StarBurn from Rocket Division Software.